Isabella Jane Cruise is famously known as an adopted daughter of popular Hollywood stars Tom Cruise and Nicole Kidman. She is among the two children adopted by her adoptive parents. Despite being a star kid, she prefers to keep her personal and professional life far from the limelight. Today, we will try to disclose her facts including affair, career and many more. An adopted daughter of popular Hollywood stars Tom Cruise and Nicole Kidman. 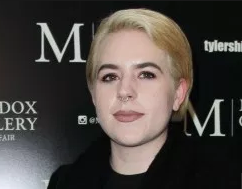 Tom Cruise and Nicole Kidman‘s daughter, Isabella, is opening up about Scientology in a letter shared with church members. Isabella, who is also known as Bella, wrote a testimonial about her training as an auditor within the Church of Scientology. It was first posted by Tony Ortega, a prominent critic of the church. An auditor within the church is extensively trained to help other members through intense self-examination sessions with the help of an electronic device called the E-meter. “This IS what I had been searching for. The missing piece. Suddenly everything began to make sense,” she wrote. She also thanked “COB,” or the church’s chairman of the board, David Miscavige, as well as Scientology founder L. Ron Hubbard. Bella has lived a quiet life outside the spotlight, only making headlines in 2015 for her marriage to Max Parker. She launched a clothing line in February 2018 called BKC (Bella Kidman Cruise). Isabella Jane cruise is the daughter of Hollywood stars Tom Cruise and Nicole Kidman. Tom and Nicole adopted two children among them one is Isabella Cruise. She undoubtedly had a luxurious life during her childhood but faced a hard time after the divorce of her parents in 2001. After the separation of her parents, she started living with her father and an adopted brother Connor Antony in the Church of Scientology. Due to which she could not spend quality time with her mother. Her mother tied the knot to Keith Urban after the divorce and gave birth to two daughters. She and her mother reunited in London and started living with her and her half-sisters. Cruise along with her siblings was educated by her father's sister in a home-schooling environment. Later, she studied art in London. Isabella always had an independent character. She refused to live on the world of glitz and glamour of Hollywood with her parents. She worked for her mother’s clothing line for a while in 2006. She started taking interest in hair and makeup of Hollywood stars. She worked as a hairstylist in Hollywood for a while. Later, she moved to England and did an expensive hair stylist training. Then she started her own hair styling business. She may not have achieved much in her career but she is happy with her independent career. Further, She launched a clothing line in February 2018 called BKC (Bella Kidman Cruise). 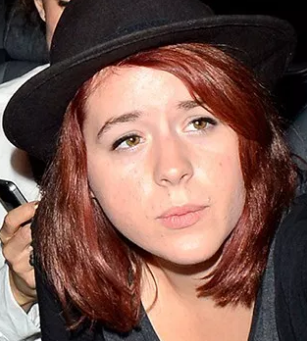 Isabella Cruise was in a relationship with her boyfriend Eddie Frencher for several years. The couple was sharing a good bonding but after shifting to London the pair faced several difficulties. It was quite hard for them to handle a long distance relationship and lastly leaving no other options they broke up. On 18th September 2015, Cruise shocked the world when she got married to her boyfriend turned husband, Max Parker in a private ceremony in the lavish Dorchester Hotel in London. No one from her family attended the wedding and Tom was totally ok with the parent-free wedding. The couple is married for years but has no children yet. How much is Isabella Cruise worth? Despite being a star kid, she prefers to hide her professional and net worth from the limelight. So, her net worth is not disclosed yet but she earns a good amount from her career and clothing line. The information about her weight, height, and measurements are not disclosed yet. It may be due to the fact that she is slightly overweight. She has been carefree of her appearance and doesn’t seem to care whether she is the daughter of celebrities. She is usually seen in low profile casual clothes and accessories. Her appearance is not like other typical star children. She doesn’t follow any specific trends and wears what she feels like.